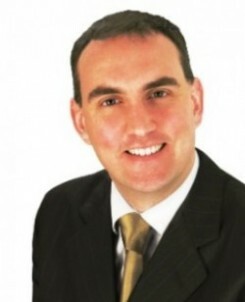 Fianna Fáil Senator Marc Mac Sharry has welcomed the recommendations contained in the draft report of the Emergency Department Task Force. It has proposed a range of measures, which had been previously flagged by Fianna Fáil to tackle Emergency Department overcrowding. Senator Mac Sharry commented, “Many of these recommendations are proposals which have already been suggested by Fianna Fáil, but which have been ignored by the Health Minister to date. The report calls for extra funding for the Fair Deal nursing home scheme to reduce the number of delayed discharges. This is something we have been appealing to the Government to do since last summer, when waiting lists for the Fair Deal scheme began to rocket. “This Government has allowed the Fair Deal scheme to spiral out of control. Waiting lists reached an all-time high of 15 weeks last year, placing a massive burden on already overstretched hospital resources. The resulting crisis in our Emergency Departments, which was felt so acutely in January, and which continues to pose a risk to patient safety, was forecast last October, but Minister Varadkar failed to take action to try and prevent it. 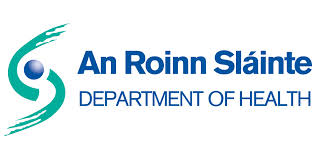 “As a result of the gross mismanagement of hospital budgets and the Minister’s reluctance to tackle the deteriorating situation in our Emergency Departments, the problems are now infiltrating other services within our hospitals. Schedules surgeries have had to be cancelled, resulting in growing waiting lists and longer waiting times for patients. “Minister Varadkar must begin thinking outside the box. I have previously suggested the possibility of abolishing the means test for the Carer’s Allowance, which would allow people care for a family member in their own home rather than subjecting them to extended hospital stays. This in turn has the potential to reduce the number of delayed discharges and free up additional hospital beds. This measure also has the potential to create savings within the health service by reducing the need for nursing home care and using the €900 a week fee to provide alternative services.